Ready to achieve success on your own terms? Are you dissatisfied at work? Despite achieving some success, does your role no longer fit? Or are you at a turning point in your life, but unsure where to look for inspiration for the next phase? Do you have too many ideas, no ideas or just feel horribly stuck? My career change services are designed to help you understand what you really, really want from your working life, then free your imagination, explore possible futures and build a practical strategy to create this more satisfying way of working and living. Give yourself permission to wave goodbye to procrastination and get started on creating your authentic future today. Scroll down for my career change services, for my latest career change articles and my free e-guide to discovering the work that energises, engages and sets you alight! Life’s just too short to put up with work that drains you and leaves you asking: Is this really it? My answer quite simply is NO - don’t settle! You can do so much more. Want to discover the work that engages and energises you so that time simply flies and it doesn’t feel like work at all? Download my free e-guide: Discover Work That Sets You Alight and unlock a more fulfilling future today! You’ll also receive regular career change tips, resources and special subscriber offers. I can’t wait to welcome you in! Please note that by submitting your contact details you are agreeing that I can contact you. If you’re ready for a comprehensive process to enable you re-create a more fulfilling career - this is it! My Quickstep Career Change Programme is designed to help you get to the heart of your new fulfilling career in 3 clear steps: CLARITY, DIRECTION and ACTION. This coaching programme will help you design a life that is truly and resonantly YOU. You’ll discover WHAT you really want, HOW you can make it happen and - most important of all - WHY this matters so much to you. Offered both for individuals or in my new group format, you’ll be armed with the self-knowledge and clarity to create a more inspiring future - wherever in the world you happen to live! 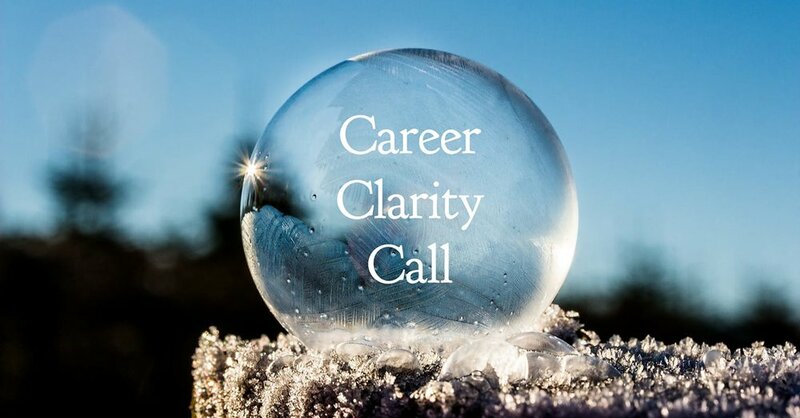 When you have a career decision to make and need an impartial coach to explore what you really want and need in your life and career right now, this 60-minute call will move you from confusion and inertia to clarity and energised momentum. With a pre-session focus questionnaire and a follow-up action plan, you'll be ready to get moving with confidence and purpose! Values are what drive you and give you the key to living an authentic and fulfilled life. By understanding your highest values and how you express them in your life and the choices you make, you will have solid ground for all the key decisions in your life. What's more, you'll understand why elements of your life or work are no longer resonating with you and what ingredients are central to a future in which you can thrive. Creating your vision board will help you get clear on what you actually yearn for in your life. Intuitive and fun, your vision board opens new avenues for exploration in your career or in designing new ways of living and working. With my free guide to creating your inspiring Vision Board, you'll see future possibilities and important themes unfold before your very eyes! I have successfully founded a university career service for Middlesex University in Dubai and created credit-bearing career learning in postgraduate and MBA programmes for the University of Exeter in the UK. If you need help to develop effective and creative bespoke career learning programmes for your students, please get in touch. I also welcome inquiries from organisations who want to provide a premium and personal service for their exiting professionals. I’m a serial career-changer. Over three decades I’ve built fulfilling careers in the UK and Middle East, so I understand the art and the science of changing direction – personally, professionally and across continents. As a fully qualified career guidance practitioner trained in the Co-Active Coaching approach and licensed to deliver the proven Firework™ career-change programme, I believe in creating new futures that inspire you throughout your life. We change, circumstances shift and each stage of life brings new opportunities. As your career coach, I put you centre-stage, help you find your career alchemy and bring it to life so that you design a life in which you can thrive. When you’re searching for a new and fulfilling career - don’t forget to listen to your intuition. It knows more than you think! If you’re looking for ‘daily meaning as well as daily bread’, read on! How to change career. What’s involved in a career change and what kind of transformation do you really need to expect? Here’s a route map to arm you for the 4 stages of your career change. How to make sense of your career history and consciously create an authentic, ‘joined up’ future. How to change career. How to change career. 4 secrets that successful career changers know AND put into action. Choosing your word for the year allows you to access your own innate wisdom and find inspiration to create your personal vision. Use your intuition to bring a focus to your dreams and design an aspirational year ahead. Which career will free my superpowers? Putting values to work for greater fulfilment! -how to get your project or career change moving! How Would You Rate Your Job Satisfaction? what’s REALLY bugging you at work? Clear the way for YES! what do you want more of in your life - and why? increase your chances of a successful career change - at any age! Today you're 61. Assume nothing. Assume everything. If not now, when?